Essence is such an affordable brand and so I don’t mind trying their products. 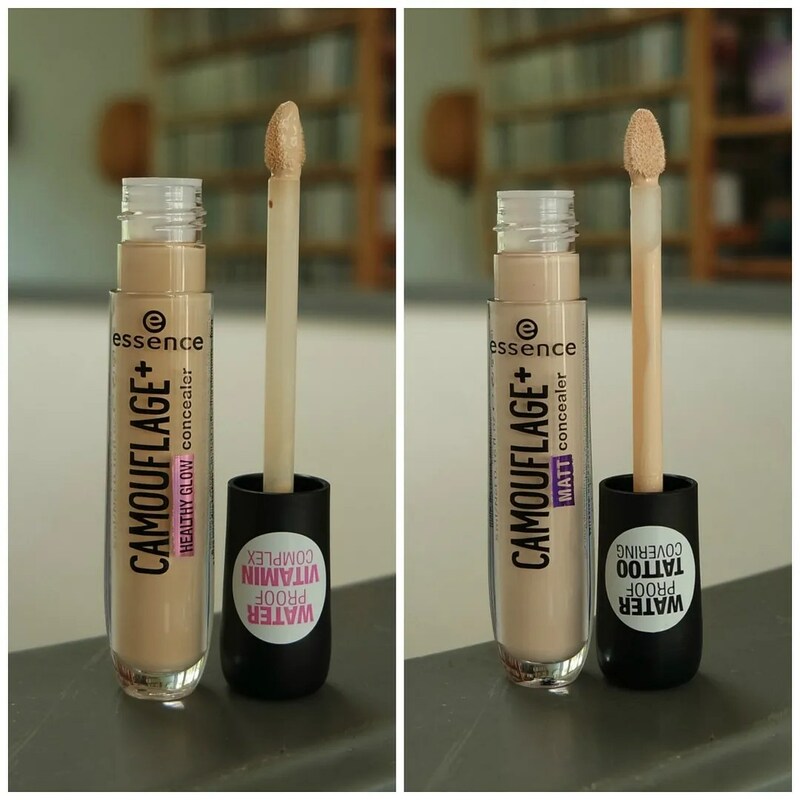 These concealers retail for €2.89 a piece. That is insanely affordable. The one downside to these is that they don’t come in the best shade ranges. The Matt concealer is available in three shades while the Healthy Glow concealer is only available in just two. All the shades are fairly light, so I knew they would work for me, but if you are anything much deeper than me, you will not find your shade match in any of these concealers. The packaging of these concealers is identical. So the main difference between these two concealers is in the consistency and finish. The concealers come in a plastic tube that clearly show the color of the concealer. They both come equipped with a doe foot applicator. The applicator isn’t exactly a doe foot but more like a triangle. That shape is ideal as it allows you to cover larger areas easily but allows you to be precise and apply the concealer on the under eye area at the same time. On the top of the swatch you can see the Healthy Glow concealer and at the bottom you can see the Matt concealer. I bought both in the lightest shade and you can see there is a big difference between these. 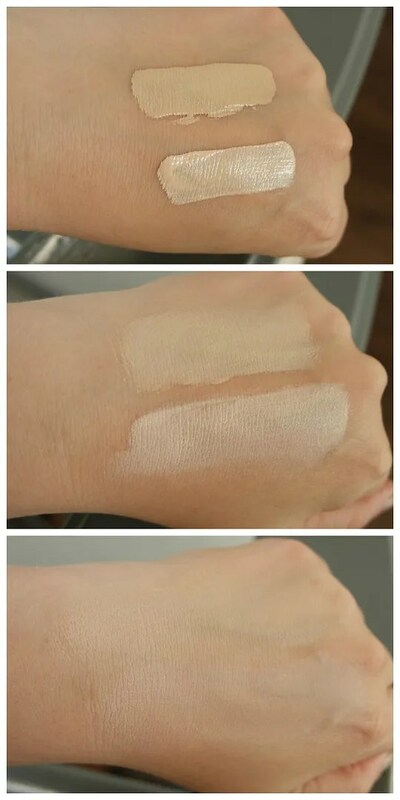 The Healthy Glow concealer in Light Ivory is much more yellow and a fair bit darker. The Matt concealer in Light Rose has a pink undertone and actually a bit too fair. Once blended out I sadly do not see much of a difference between the two. Both start of quite glowy, but as you blend them out they both seem to have the same finish. The Matt concealer feels a bit more stiff and more difficult to blend. The Healthy Glow is a bit more emolient and slightly easier to blend, but that has a tendency to blend away and not provide as much coverage. 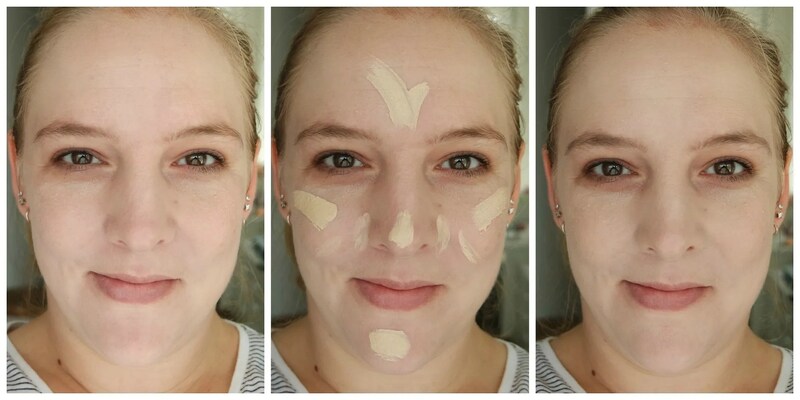 In this picture sequence I have used the Essence Camouflage Healthy Glow concealer to cover my face. 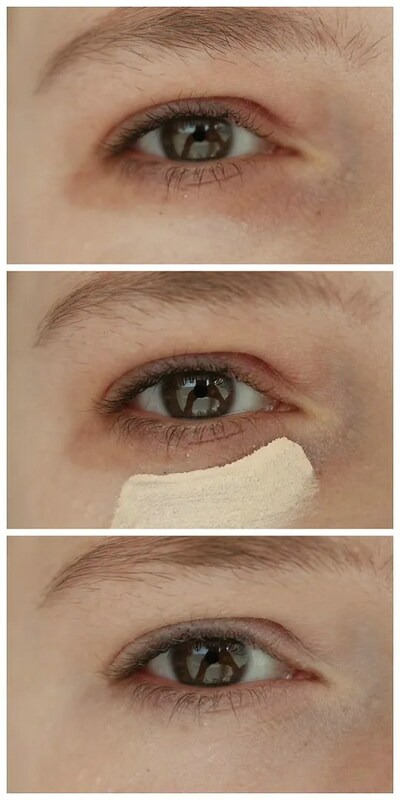 I have since also tried this on my under eye area. 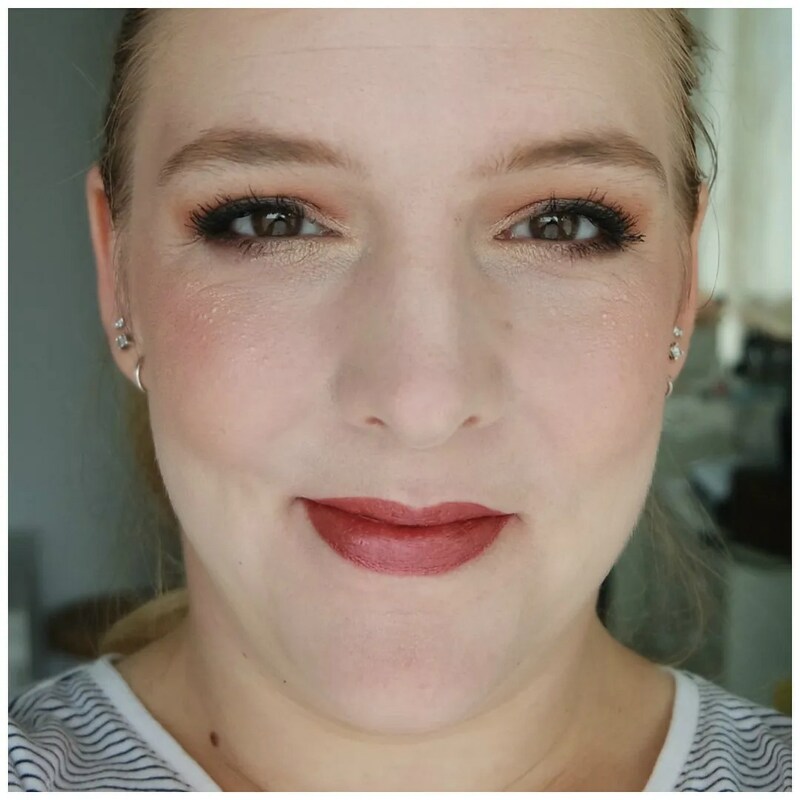 It blends in well on my face, but as you can see there isn’t much of a difference between the before and after pictures as I feel it doesn’t do much coverage wise. On my under eye, this was incredibly difficult to blend in. I mainly use a sponge and usually have no problems blending in a concealer, but this basically just disappears. For the under eye area I went with the Essence Camouflage Matt Concealer as it was the lightest. Sadly this concealer was even less of a success than the Healthy Glow one. While the shade is nice and light and thus very brightening, the texture of this is too sticky. I tried applying this in three different ways: with a sponge, a brush and my fingers and wore this multiple times on different areas of my face. No matter what I tried, I couldn’t get this to blend in evenly and it looked cakey and accentuated fine lines really easily. With a sponge and brush this was a nightmare to apply: the texture is so tacky that the product lifts up from the skin and takes away patches of foundation when trying to apply it. There ended up more concealer on the sponge or the brush than on my face. My fingers were the most successful when applying this concealer, as the warmth of your fingers helps this to melt a little bit and blend into the skin. However, that lead me to see the accentuation of fine lines around my eyes and an overall dry and cakey look. That look only worsened throughout the day. 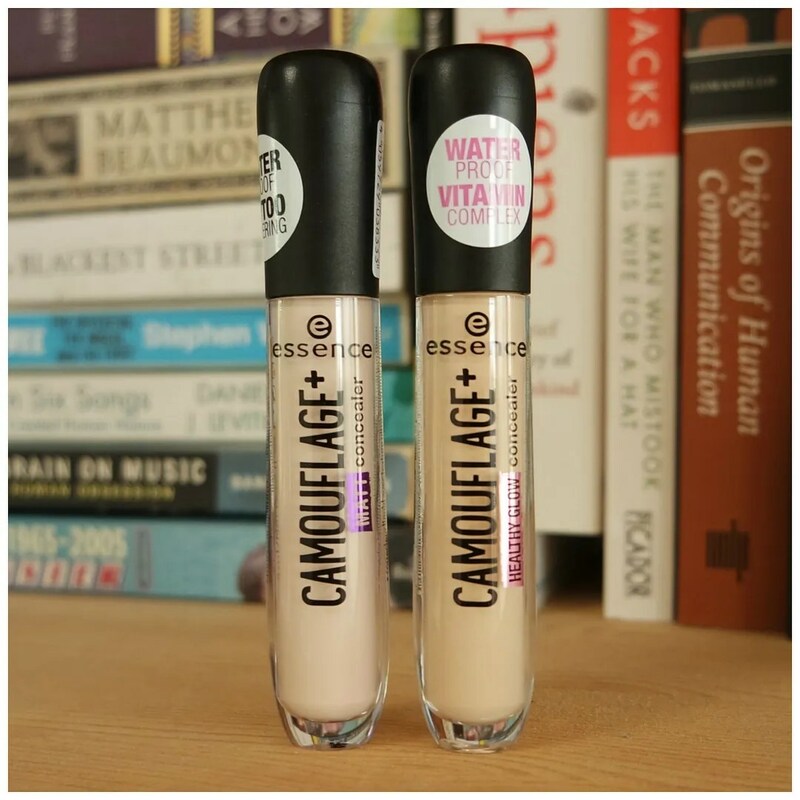 Unfortunately, the Essence Camouflage Healthy Glow & Matt concealers are not what I had hoped they would be. The Healthy Glow concealer is perhaps the best one, but I feel it doesn’t do enough. The Matt concealer is the biggest disappointment here: it looks dry, is too light and is difficult to blend. If you are looking for an affordable concealer than these are not it. What Essence concealers have you tried?